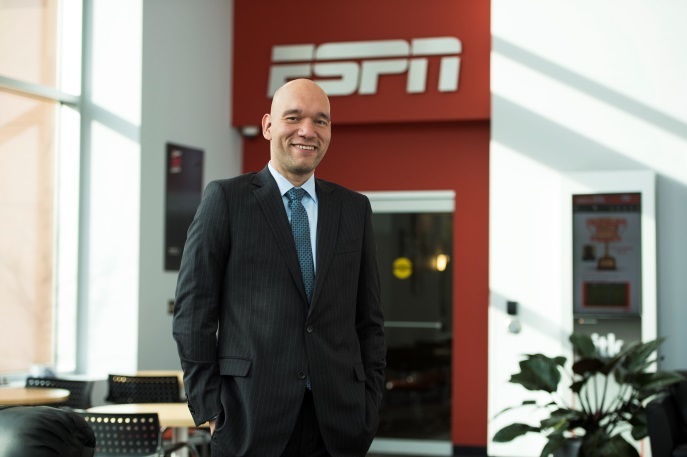 ESPN has appointed Freddy Rolón vice president and general manager of ESPN Deportes, the leading Spanish-language sports brand dedicated to providing the widest variety of sports to the U.S. Hispanic sports fan via television, online, print, radio and mobile. He will report to Russell Wolff, executive vice president and managing director of ESPN International, who is responsible for all of ESPN’s international businesses and for ESPN’s U.S. Hispanic efforts. In his new role, Rolón will oversee all aspects of the ESPN Deportes business including ESPN Deportes television, the leading Spanish-language sports cable network offering the most diverse sports programming with more than 4,500 live hours of content presented every year, currently in 5.9 million Hispanic households and available on WatchESPN. He will work closely with Traug Keller, senior vice president of ESPN Audio, on the ESPN Deportes Radio business currently available in the top 10 U.S. Hispanic radio markets and also distributed on SIRIUS Satellite Radio. Rolón and the ESPN Deportes team will also work closely with ESPN’s programming, production, audio, digital and print media teams, to maximize the relevance and appeal of ESPN’s English-language products to U.S. Hispanic fans. In order to leverage ESPN’s multi-country capabilities, including its new Mexico City studios, and maximize the engagement of Mexican and U.S. Hispanic sports fans, Rolon will also work closely with Gerardo Casanova, vice president and general manager, ESPN Latin America North (Mexico and Central America). The two will collaborate on how do you spy on someones cell phone key areas of the business including audience and content development. “Freddy brings an expert blend spy on a cheating spouse cell phone of market intelligence, content know-how, brand knowledge and leadership to his new role,” said Russell Wolff, executive vice president and managing director of ESPN International. “The collaboration between Freddy and Gerardo will also help us find creative and innovative ways to best serve U.S. Hispanic fans on all of ESPN’s platforms.” “ESPN is perfectly poised to serve the growing U.S. Hispanic audience in both Spanish and English,” Rolón said. “We have tremendous expertise within the ESPN Deportes team, in addition to company-wide support for our efforts. I’m excited to work with this talented team of professionals to develop ESPN’s English, Spanish and http://iphonespyapponline.com/ bilingual strategies, and to identify new opportunities to propel our business forward.” Rolón, who joined ESPN in 2004, has held the position of vice president of ESPN Deportes programming and business initiatives since 2011. 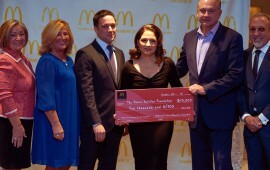 He has also been responsible for the ESPN Deportes Radio and ESPNDeportes.com businesses, coordinating efforts between ad sales, affiliate sales and production teams in Bristol, Mexico City, Miami and Los Angeles. 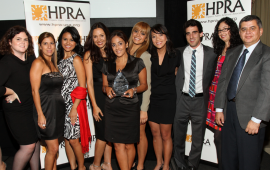 He has been instrumental in building ESPN Deportes into a leading brand for Hispanic sports fans in the U.S. He has also worked with ESPN business leaders to manage start-up phases of new business initiatives, like ESPN Local. Rolón initially worked with ESPN as an intern online writers competition at ESPN International in the summer of 2003. After completing his MBA at the Tuck School of Business at Dartmouth, ESPN hired him as senior manager, marketing for ESPN Deportes. He spy apps for iphone was then promoted to senior director, marketing and integration of ESPN Radio (2005-2007), where he oversaw all the marketing efforts for ESPN Radio and was instrumental in the launch of ESPN Deportes Radio. Rolón graduated from Wesleyan University with a bachelor of arts in economics and government. Casanova joined ESPN 2005 as the company’s first-ever general manager in Mexico and was then promoted to vice president and general manager of ESPN Latin America North. Prior to ESPN, he served as director of International Business for Grupo Televisa and held several positions with Mexico’s Ministry of Economics, including Chief Advisor to the Undersecretary of Economics. He has a B.A. in Economics from Mexico’s Anahuac University, a Masters in Politics, Economics and Business from the research paper mobile communication Peter F. Drucker Graduate School how to write a research paper on a piece of art of Management at Claremont Graduate University and an MBA from the Massachusetts Institute of Technology.